Fresh Coat franchise business opportunity. Free Fresh Coat business franchise information. Fresh Coat - Painting done Right! Fresh <?xml:namespace prefix = st1 ns = "urn:schemas-microsoft-com:office:smarttags" />Coatsm, America's leading 'one-room-at-a-time' residential and commercial painting company is offering you this excellent business opportunity! There's big money in painting the interior of homes. Millions of dollars are being spent every day on painting kitchens, family rooms, bathrooms… every room in the house! And people don't have the time, the skills, or the desire to do the painting themselves. That's where your Fresh Coatsm franchise comes in. Your own franchise will be a business built around managing people, not physically doing the painting yourself. You don't need painting experience because you hire experienced painters to do the work. If you like the idea of being your own boss then this home décor franchise could be your ticket to this multi-billion dollar industry. Located throughout the United States, our Fresh Coatsm franchisees are ready to provide a variety of painting services. When you join us you will be able to take the worry and hassle out of painting for your customers. 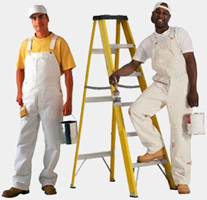 Your painters will be experienced professionals, bonded and fully insured. Fresh Coatsm only uses high quality, long lasting paint and, we offer the same superior workmanship for one room, or your entire home or office. Fresh Coat's unique approach goes far beyond that of the average painting business. Like most good franchises, you'll receive comprehensive training; but, at Fresh Coatsm, we teach you how to get the business. Fresh Coatsm has an unmatched year-round marketing program, which includes pre-approved artwork for direct mail, newspaper ads, exhibits and publicity releases. Training, systems, marketing, and on-going support are all part of the total package. But, just as important is our commitment to reduce the cost of doing business. Our primary focus is to have you offer superior services at competitive prices. We have a sincere concern for our franchisees and that concern is what makes a Fresh Coatsm business so successful. Fresh Coatsm has a unique niche in the marketplace. We specialize in painting one room at a time. Our concept allows us to schedule our painters efficiently, without downtime and no weather to worry about. Fresh Coatsm provides their franchises access to an exclusive "Paint Now & Pay in 4 Months" Program and will even carry your account receivables. So, as a Fresh Coatsm Franchise, you're paid after every job. It's a cash business! To learn more about the Fresh Coat Painters franchise opportunity, simply complete the form below.